FULLY FINISHED FROM TOP TO BOTTOM! 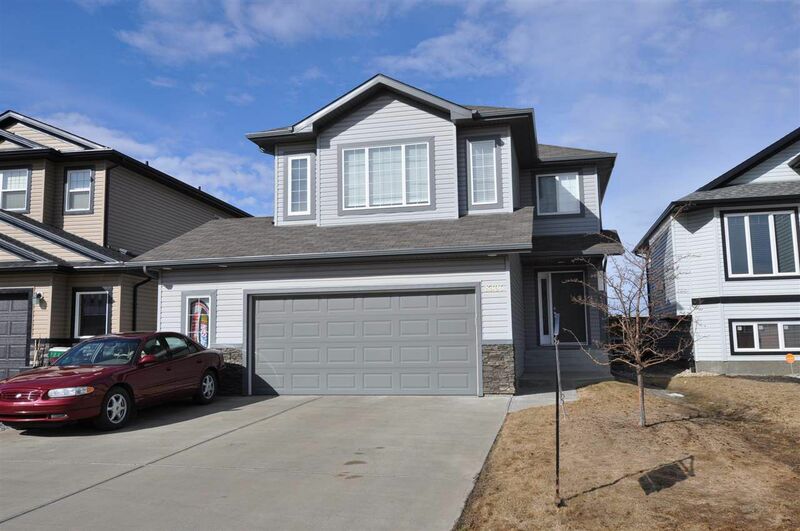 Immaculate 1741sq.ft fully finished 2 Storey home offering 4 bedrooms, 3.5 baths, Bonus Rm & is tastefully finished w/lovely hardwood flooring, granite countertops & windows galore. Open concept main floor w/a kitchen boasting espresso color cabinets w/crown moulding, accenting glass tile backsplash, S.S appliances, large center island, corner pantry & a nice sized dining nook off to the side. The living room is spacious & elegant in design w/a tile surround gas FP. Upstairs is home to a fantastic bonus room situated over the garage, 4pc main bath & 3 large bedrooms w/the master suite enhanced by a walk-in closet & 4pc ensuite offering separate shower & relaxing Jacuzzi tub. Additional living space is offered in the finished basement boasting family room, 4th bedroom & an another 4pc bath. Other notable features; central air, built in vacuum system, professionally landscaped & fenced yard, PLUS an insulated, heated, oversized garage. All you could want in a family home!